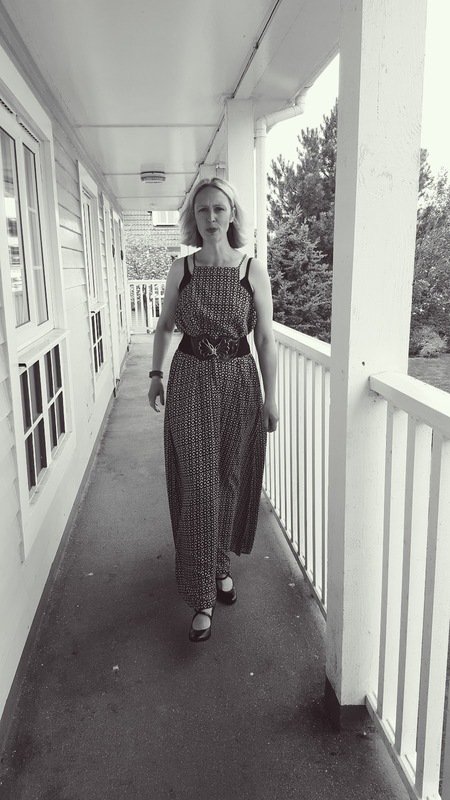 Fashion Over 40 : Creative Mondays Blog Hop.. Happy Monday everyone. Hope you’ve had a lovely weekend? 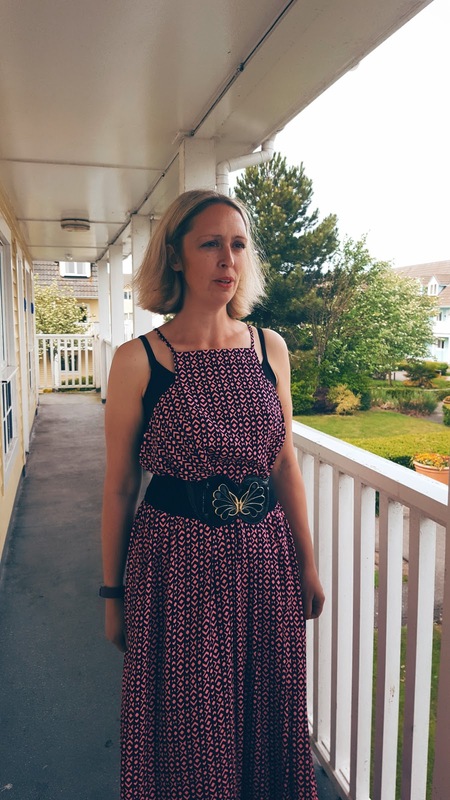 I brought this dress a few weeks ago for my holiday. When I seen it in the shop I loved it straight away. It screamed buy me! When I got it home and tried it on, I hated it! Far to wide, too baggy around the top. So it was take it back to the shops and not have a new dress for my holidays or pack it in the case..
Then though came into my head. 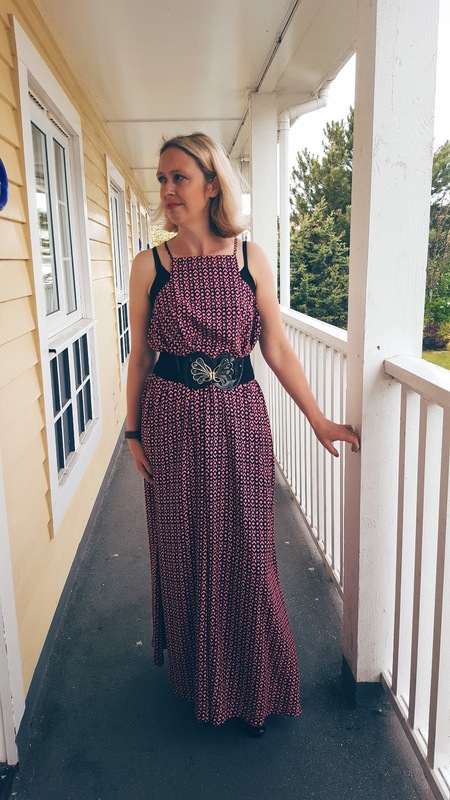 What about wearing a black top underneath and finding a chunky belt to wear with it!? I tipped my t-shirt draw upside down and emptied my wardrobe to find a belt. I am so glad I did as it looked a lot better. Now I love it again!! So floaty and keeps you cool or keeps you warm in cold weather. 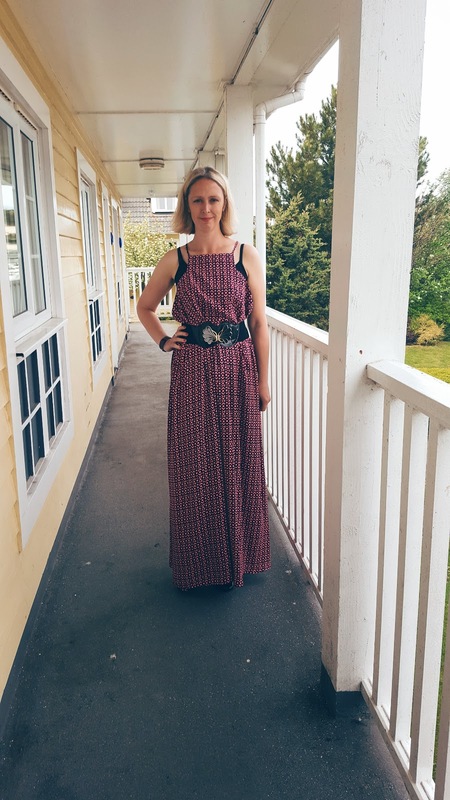 Do you have anything that looks completely different with a belt or another item of clothing? 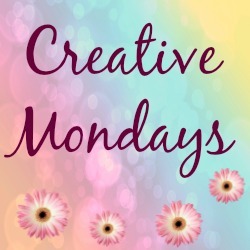 Creative Mondays 13/06/2016 has now finished. "Ruby Tuesday : Yummy cake.."
So creative to smake it work in that way! I love the way you've dressed up the dress with belt and vest. Good call with the belt and vest top – looks great. 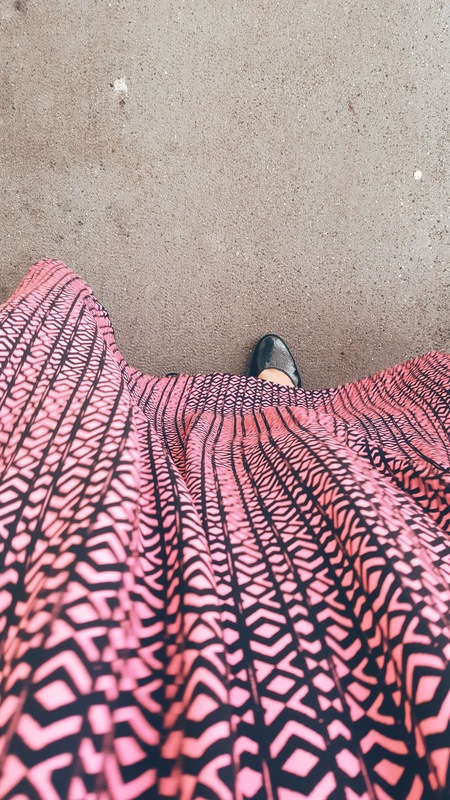 The print is really pretty and maxi dresses are so great for holidays. Thanks Julia, I am glad I kept it now!! 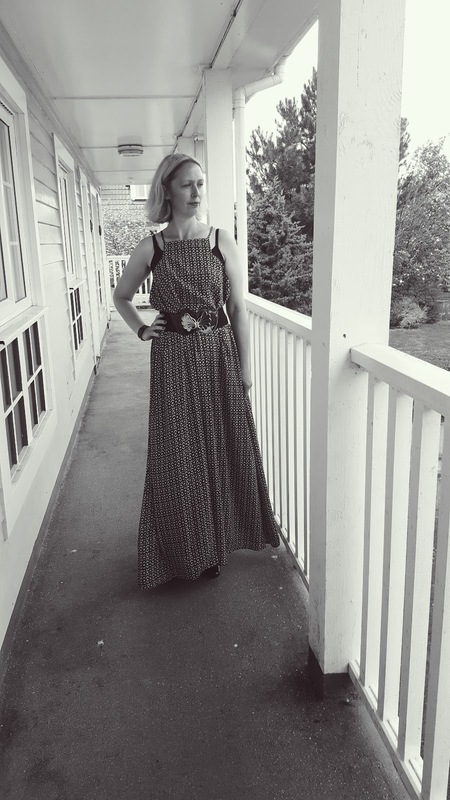 I love this maxi dress and how you styled it with the cami underneath. Do come by on Thursday and link this up with me. Thanks. Hi I'm new to your blog and party and will be adding your link today. I love that dress and how you made it work. I also love the red polka dot top you posted earlier! 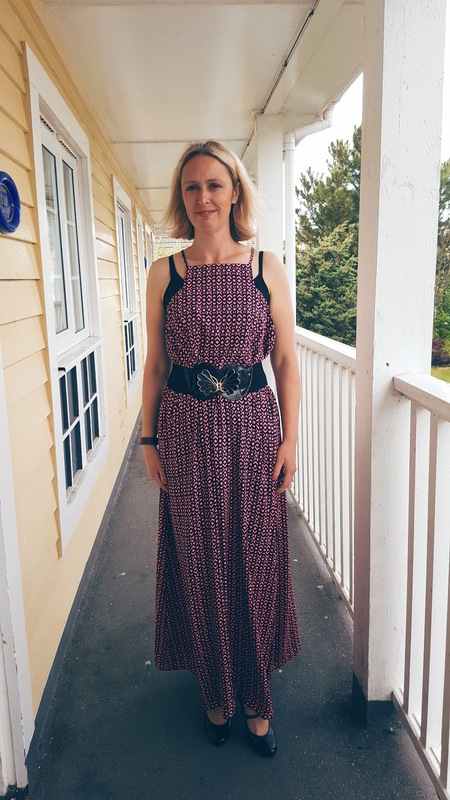 Thanks for hosting Claire, love the dress and the belt too! Hope you have a fabulous week!